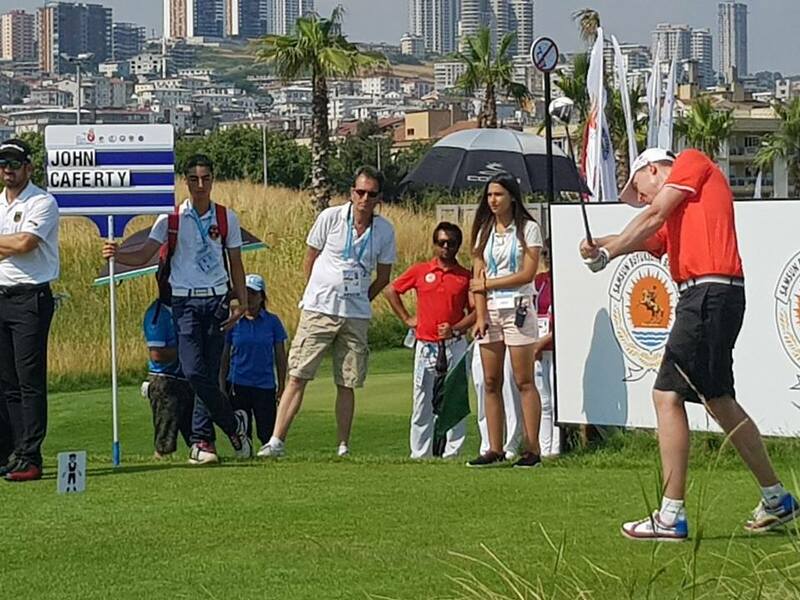 DeaflympicsGB's Steven Cafferty: "Golf was my saviour"
GolfMagic sits down with the 2017 DeaflympicsGB golf bronze medallist. Steven Cafferty may have fulfilled a childhood dream this summer when picking up a bronze medal at the Deaflympics, but he's not prepared to stop there. Far from it. My dad got me into golf when I was younger, taking me up to Craigie Hill GC in Perth for a few holes or on the putting green! Always made me hit the putt again if I left it short, 'hit it harder Steven!'. Ive not hit many putts short since! 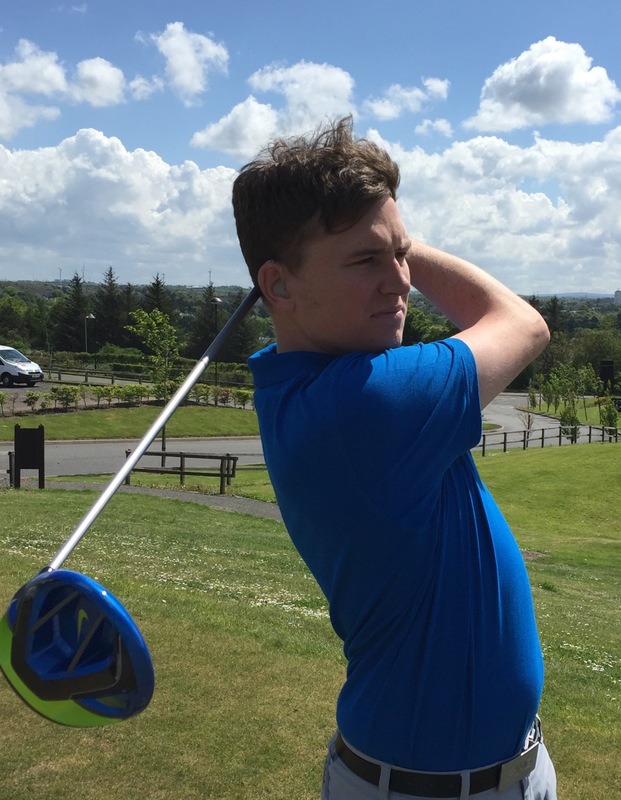 What it was like growing up as a deaf golfer? Lonely at times. But that became easier as I grew into the deaf world, not just in golf but socially. Growing up with a negative attitude towards my deafness wasn't the easiest, although I felt I had something to blame everything on that I did wrong, like a bad golf shot or not understanding my school work etc. It got easier though when I was introduced to competitive golf and deaf golf. Did you feel like being deaf held you back when you were younger? I felt I was being held back in every aspect of my life, education, golf, social to name a few. Missing out on conversations, missing out academically because the school weren't trained to handle a disabled student. Although it was lonely with golf, it was my saviour. It gave me the freedom to learn from my mistakes and work at them, get better. I think after a while I realised I wont get better if I don't work hard, and that transferred to other parts of my life, like working or studying. My introduction to Scottish Deaf Golf, my first event was the World Deaf Championships at Fairmont, St Andrews. I still had a temper, but it was a bigger event than a mainstream event so I had to learn straight away to contain my temper, especially with all the eyes of the deaf world on me and I finished second! Team Scotland won the Team event, becoming the first European country to do so. My anger management got better as I grew older and so did my golf. When did you get the call up for DeaflympicsGB? I was in the provisional squad from early December. DeaflympicsGB was finalised start of February. Training was difficult due my work and family commitments but I trained when I could, although the majority of DeaflympicsGB were in the same situation! How many athletes were taking part in the Deaflympics? There were roughly 60 odd athletes over five sports (Football-Men/Women, Golf, Athletics, Tennis & Swimming) and they were all selected based on ability to medal or potential medalists for 2021. Over 25-30 non athletes including team managers, physios and core team. What was the atmosphere like in Turkey? Not many words to describe it, it just changed my life positively! I met so many new friends and old friends, the quality of the golf course and clubhouse was world class. Despite the struggles at the start, DeaflympicsGB supported each other, urged every one of us to do their best and we smashed our pre-medal tally of five (nine medals including three Golds, one Silver, five Bronze). The support from home and celebrities was amazing. Watching the swimming finals was awesome as well, the football teams did their absolute best and the tennis & Athletics team have some real talent for the next Games. The camaraderie the team have was amazing, whether it was cheering an athlete in the shared canteen when they walk in with a medal so every country knows GB just won a medal or a game of mixed volleyball at 9pm at night! It was just a fantastic atmosphere! How did it feel to win your medal – can we have a look? Like a weight had been taken off my shoulder, especially when you consider we play six days of competitive golf in a row for five to six hours a day in 35 degree heat! I went 2up with two holes to play and all I needed was to half one of the holes but the other guy put up a fight and I eventually won at the playoff hole. To win a medal against full time sponsored athletes makes me appreciate how good I am despite limited training days, added responsibilities and stress. It made wonder how good I could I be if I was full time? Does the deaf community get funding to take part in events like this? We receive no funding from UKGov or UK Sport. Olympics, Paralympics & Special Olympics will receive £345 million between them for Tokyo 2020. What do they need all that money for? Most of them have a full time wage from their sponsors that most of us struggle to make in 5 years. All DeaflympicsGB require is £2000 per athlete, £175,000 overall. 0.05% of that £345m budget would cover everything for us, 1/20th of a percent! Its laughable, it really is. What message would you like to share with the people making those funding decisions? Show equality. We represent every deaf and hearing person in the UK, and we do it out of our own pocket or generosity of the public. The Prime Minister gave her public appreciation to all Olympians, Paralympians after London/Rio, personal Downing Street invite to England Ladies Rugby and Cricket team, where was ours? We compete against countries who pay their athletes to go and for every medal they win. We beat our medal tally, including more Gold medals in one Games than the last two to three Games. Were asking for much less than mainstream sports, enough to get us to the world stage to show how good we are. Times need to change. Don't forget Deaflympics outdates the Paralmypics by many years and its only second to the Olympics as the largest multi sport/national event in the world.